Frank Adler (Chris Evans) is a single man raising a child prodigy – his spirited young niece Mary (Mckenna Grace) – in a coastal town in Florida. Frank’s plans for a normal school life for Mary are foiled when the 7-year-old’s mathematical abilities come to the attention of Frank’s formidable mother. #GIFTED the movie now showing. 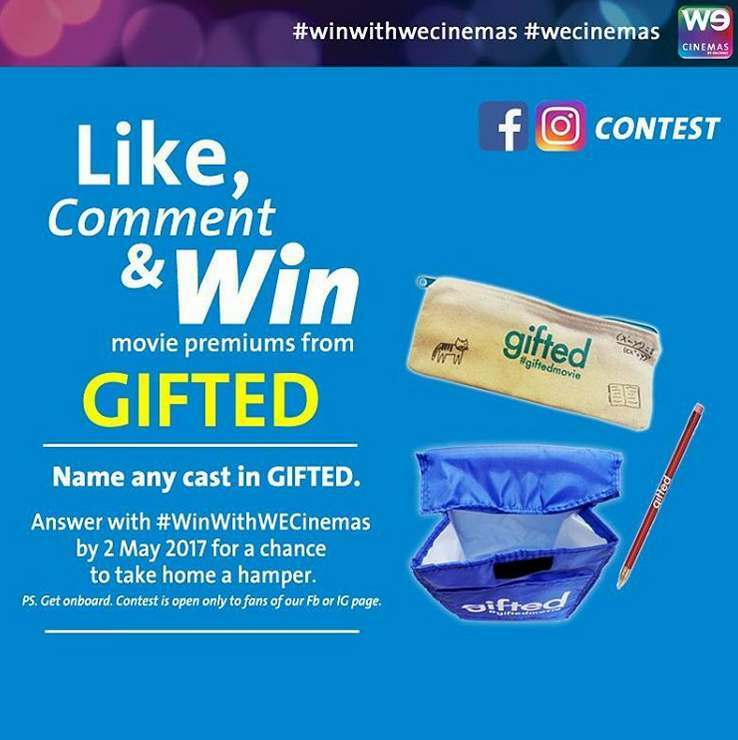 Stand to win the movie premiums when you leave a comment with any member of the cast using the hashtag #WinWithWECinemas by 2 May. Open to our FB & IG followers. Like us to participate! Find out more at We Cinemas #Singapore.